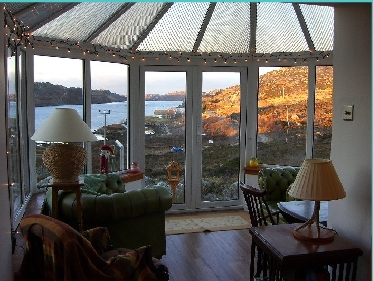 Self catering holiday house with outstanding views towards Loch Inchard, North West Sutherland. Located less than 10 minutes walk from Rhiconich Hotel. Close to outstanding scenic beaches Pets welcome. Coal & wood burning open fire. Sleeps up to 6. 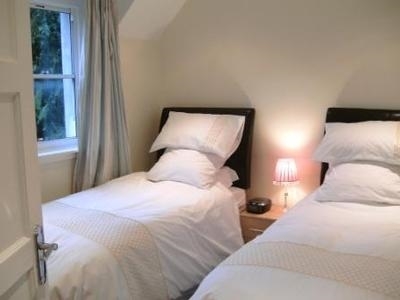 Inchardview can accommodate up to six people in two separate bedrooms and on a sofa bed in the sitting room. Our accommodation is on two levels. Downstairs there is a spacious kitchen, sitting room with open fire, conservatory and dining area with views across Loch Inchard. Upstairs there is a family bathroom and two bedrooms: one double bedroom with view towards the loch, and one twin bedroom with views towards the hills. On the upper floor are: two bedrooms, one with twin beds, the other with a double bed, detachable to two singles; bathroom with bath and integrated shower unit. The ground floor comprises: a sitting room with natural fire, sofa bed, Freesat TV and dvd player; an adjoining conservatory with dining table, overlooking Loch Inchard. 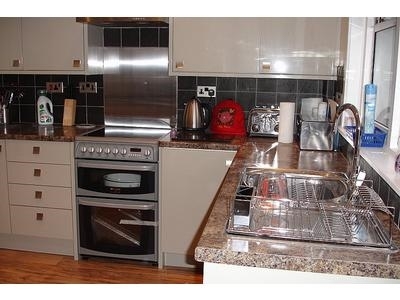 There is a fully equipped kitchen - includes electric cooker with double oven and grill, microwave, dish washer, washing machine and tumble dryer; downstairs cloakroom with toilet and sink. 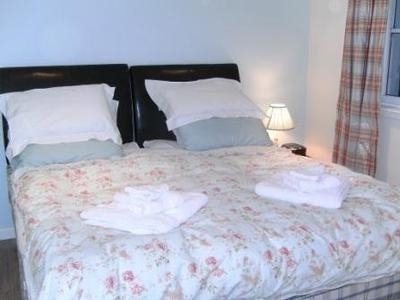 Facilities include: free WiFi, Freeview Satellite TV. 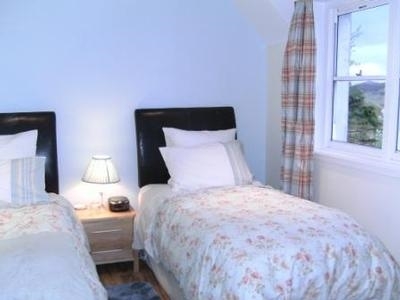 Situated in a quiet location overlooking Loch Inchard, on a hillside east of Rhiconich, on the road to Durness, and is a short walk from Rhiconich Hotel. Booking and payment If you would like to book now, then click on ' BOOK'. We use the website LovetoEscape to process our bookings so you can pay by credit or debit card. You also have the option to purchase cancellation insurance during the booking for peace of mind.